I always love attending ALA for a variety of reasons. Not only is it an opportunity to talk with publishers, meet favorite authors or illustrators, it is also the place to re-connect with colleagues, people I consider friends who just happen to work all around the United States. And make new connections, too. I’m excited. I signed up for the ALSC pre-conference: Perceive. Rise. Engage: Celebrate the 2017 ALSC Honor Books. I did my homework of reading all the books on their list in anticipation of the panel discussions. Though I have a few invitations from publishers, mostly, my scheduler is chocked full of the numerous sessions I hope to attend. One in particular looks perfect: Graphic Memoirs: How non-fiction graphic novels bring real lives to life. Environmentalist and activist, and nonfiction writer, Bill McKibben is speaking Saturday. I hope the room isn’t too crowded. When I heard Gloria Steinem talk in 2015 in San Francisco (Librarians Save My Life), I had to sit on the floor. That’s okay, too. If only I could duplicate myself (where’s Hermione and her duplicating spell?) I’d be able to attend all the 27+ sessions on my list. What’s magical about the annual conference, besides the sessions, quick meet ups with friends, traversing the exhibit hall and becoming overloaded with arc’s, is with the Newbery-Caldecott-Wilder Banquet on Sunday evening. Described as the Academy Awards of Children’s Literature, even if you don’t pay the money for a ticket to enjoy the food, going to hear the speeches is simply enchanting. One of my favorite Newbery speeches was given by Jack Gantos. He had everyone in stitches. Oh, then there was the one by Susan Patron when she won for The Higher Power of Lucky. 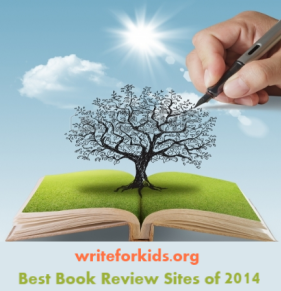 And who can forget Kate DiCamillo and her 2014 speech for Flora & Ullysees. Gosh! I remember my first ALA. It was in 2005 in Chicago. The only people I knew were two librarians from Maine, and neither of them was Cathy Potter! How overwhelming it was to navigate the city, attend the exhibits and sessions all alone. I felt so small; frustrated that I had no one to talk to, no one to share this mentally stimulating, re-charging, glad-I-am-a-librarian experience. Attending my first publisher cocktail party! I won’t even go there. As an introvert, it took all my reserve to walk into a crowded room, full of strangers who all seemed to know each other and try and make small talk. Daunting? Yeah! Fun? Of course! Has much changed for me over the past 12 years? A bit. Though I still spend a lot of time alone attending sessions and the exhibits, and I’m still really nervous walking into publisher events, I can now savor this opportunity; I see it as the best buck spent to keep me from becoming stagnant in my job. I return full of ideas, but, best of all, it’s pretty wonderful, for three days, to be surrounded by others who love to talk about…what else…books! I’ll be sure to follow up this post with a list of titles I hope to review throughout the year. Woo Hoo!